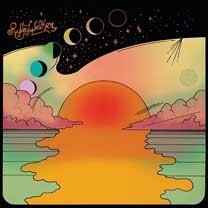 George Graham reviews Ryley Walker's "Golden Sings That Have Been Sung"
I frequently find it interesting when artists defy stereotypes and create music that might be in an unexpected style. Often it takes form of young performers who, in increasing numbers, are playing music either influenced by or actually recreating the sound of styles from decades ago, music from before when they were born. And sometimes those younger performers surpass the quality of the original, and while adding some additional creativity. This week we have the latest album by Ryley Walker, a singer-songwriter from Chicago, who shows considerable influence from the 1960s English folk scene, which has not drawn the attention of many other young retro artists. His new album, his fourth full-length recording, is called Golden Sings That Have Been Sung. Ryley Walker did not start his musical career as a folkie. He had been in various electric bands in his native Southern Illinois and at college in Chicago. After a bike accident in 2012, he used his recuperation time to practice on acoustic guitar and started using a technique of utilizing glue-on salon-type fingernails as finger-picks. And he started drawing on the influence of performers in the late 1960s English folk scene, most prominently the late John Martyn, whose impressionistic music and sometimes jazzy-instrumental backup made him distinctive in a field where traditional British-Isles folk tunes were more the norm. One can also hear the jazzy folky, sound of the Pentangle, with the prominent acoustic bass on Walker’s music. Interestingly, Walker teamed up with Pentangle bassist Danny Thompson on an English tour a while back. Walker carried on the jazzy instrumental backing with a group that included some jazz musicians on his 2015 album Primrose Green. Interestingly, he followed that with an all-instrumental album that year, called Land of Plenty. On the new release Golden Sings That Have Been Sung Walker's supporting musicians are mostly the same. And like his previous album, the Walker's lyrics are rather impressionistic and ambiguous. So it's the music and the arrangements that carry the album, as was the case last time. The band on the new record includes electric guitarist Brian Sulpizio, bassist Anton Hatwich, keyboardist Ben Boye, cellist Whitney Johnson, and drummer Frank Rosaly, all holdovers from the last album. They are all good players, adapting well to Walker's music, and sometimes bringing a kind of jam-band quality to the performances. The pieces range from upbeat to brooding, and sometimes the mood of the lyrics doesn't quite match the music, though that can make it more interesting. Golden Sings That Have Been Sung, the new fourth release by Chicago singer-songwriter Ryley Walker continues the style set on his 2015 release Primrose Green, which we also reviewed on this series. He shows his influence by the English folk scene and especially the late John Martyn along with a nod to the dreamy side of the psychedelic scene from back in the day, nearly quarter century before the 27-year-old Walker was born. His music has an interesting charm and its combination of influences is rare these days. As was the case on Primrose Green, Walker is more interesting musically than lyrically, as his words have a kind of stream of consciousness quality to them, though that is also in keeping with the psychedelic scene. His backing band, mostly the same as before, proves tasteful and adds to the often shadowy musical colors of the album. Our grade for sound quality is also the same as Primrose Green, a C+. The sound is again murky and over-compressed, though the vocals are a bit more audible than the last album. The English folk scene of the late 1960s was very influential in its day, and for some time afterward. But not many young artists these days get into the style outside of the contemporary Celtic scene. Riley Walker’s Golden Sings That Have Been Sung is a nicely-done example ofa millennial generation performer drawing on the some musical history, and adding his own original flavor.